Haviland,William A. 2000. 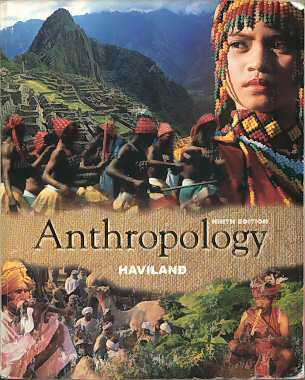 Anthropology, 9th Ed. Harcourt College Publishers, Fort Worth ,Texas. Paperback 823 pages of text + bibliography and index.